If it helps you stay organized, categorize your tasks by room, deadline, or importance. As you’re completing all your to-dos, make sure you check them off your list as you go. It will help you see how far you’re come in accomplishing such a gargantuan goal. The less stuff you have, the less stuff you have to pack. 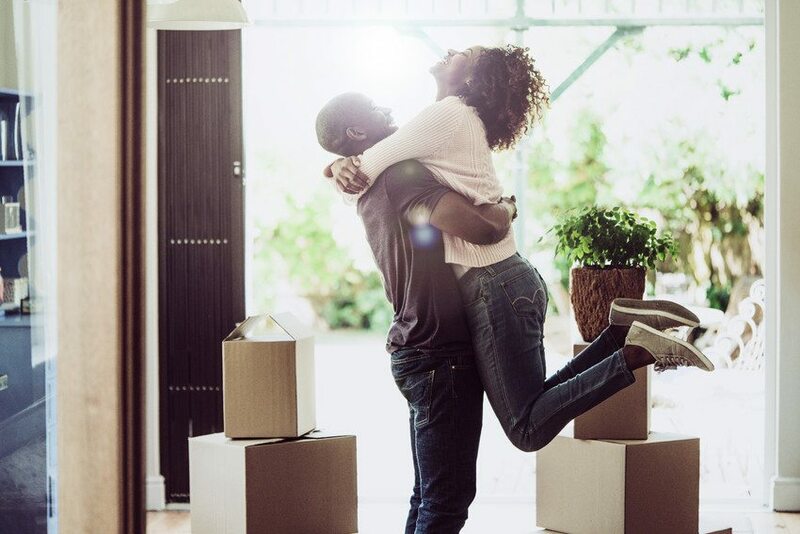 But as we all know, one of the biggest hurdles to moving is sorting through all of your belongings and deciding which ones you won’t be taking to your new home. If decluttering your entire home seems overwhelming, don’t panic. Start small: Instead of trying to tackle the entire project in one weekend, spend an hour or two on just one room. Create three piles: Keep, Donate, and Trash. Go through your closets, bedrooms, and other hot spots first, then move on to the rest of your home. Remember, you can always buy books, kitchen gadgets, and other things after you move. If you have a few sentimental items you’re having a hard time getting rid of, ask a friend or neighbor for objective feedback. Once you’ve sorted through most of your home, host a yard sale and set out items that you planned on giving away. Sell anything that you can that day, and anything that’s left over you can donate to charity or a local thrift store. You’ll be surprised at just how many small items can fit into the nooks and crannies left over in your moving boxes. After you’ve packed your bulky appliances and decorative pieces, you can fill in the spaces with smaller items to act as extra cushioning and save a bit of space in the process. 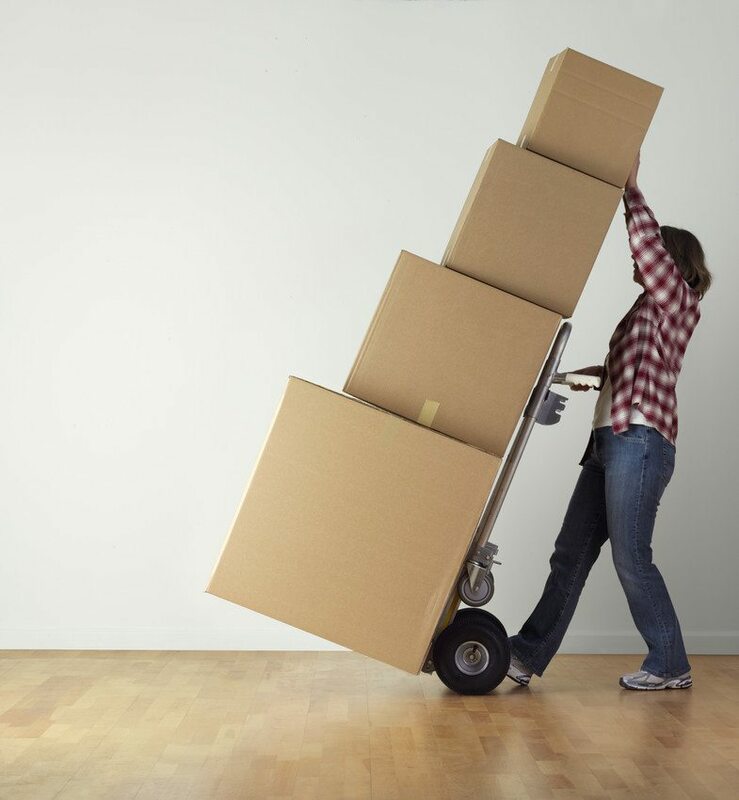 Another way you can get creative with your packing is by stacking items vertically instead of horizontally. Instead of laying down dishes, bowls, plates, and other fragile items in a box, stack them upright and cushion them with socks and towels. This will prevent your glass items from shifting around during the move. Worried about bottles of shampoo, soap, lotion, or other liquids spilling out on the journey? Cling wrap is a surprisingly effective seal. Remove the tops of bottles and cover the openings with a bit of cling wrap, then twist the caps back on. Cling wrap is also easier to remove than tape. If you have clothes and jewelry packed away in drawers, surround the drawers with a thick layer of cling wrap. It’s easy to remove, and you won’t have a sticky mess to clean up later! Ask Us for More Helpful Moving Tips! We hope these moving tips come in handy, whether you’re planning to buy a home or whether you’re selling your current home. We’re more than happy to provide you with additional tips to help you prepare for your upcoming move. If you need more advice about buying or selling a home or want to know more about the area, we offer a wealth of resources to help you out. Call us and let’s talk about your plans!